If you love Cherry Grove Beach and prefer to be out of the hustle and bustle of Main Street, then Laguna Keyes condos are the ones you want to see. 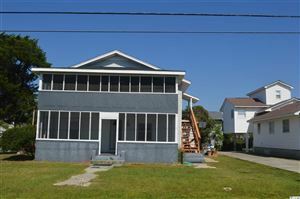 Located almost as far north as you can go on Ocean Boulevard in North Myrtle Beach, Laguna Keyes was built to satisfy the discriminating buyer. The condos at Laguna Keyes have granite countertops, ceramic tile, Jacuzzi tubs, and covered parking. Find a Penthouse suite for sale and you will think you've arrived in heaven with the views and sheer luxury. These are excellent investment condos, a favorite of vacationers, and have the most privacy of any condo-hotel resort in the Grand Strand. Truly a must to consider if you want luxury property! Laguna Keyes amenities include and oceanfront pool, children’s pool, 2 Jacuzzis, a lazy river, an indoor pool, fitness room, Internet access, parking garage, lavish penthouse condos and some of the best views in North Myrtle Beach! As the #1 selling real estate agency along the Grand Strand, RE/MAX Southern Shores agents can assist you with purchasing a home at Laguna Keyes that is suited to your needs. RE/MAX Southern Shores’ reputation has been built upon unsurpassed customer service skills and long-term client relationships resulting in “clients for life.” RE/MAX Southern Shores agents focus on YOUR wants and needs related to the home buying/selling process. Contact RE/MAX Southern Shores at 843-839-0200 regarding any of the Laguna Keyes or Grand Strand MLS listings. One of our expert agents can assist you in the buying aspects of real estate transactions by providing you with detailed information for any listed real estate. If you love the serenity of Cherry Grove and want one of the best luxury condos on the oceanfront, Laguna Keyes is the ideal North Myrtle Beach condo for you. Contact RE/MAX Southern Shores today at 843-839-0200 to talk with an agent about making Laguna Keyes your next home!